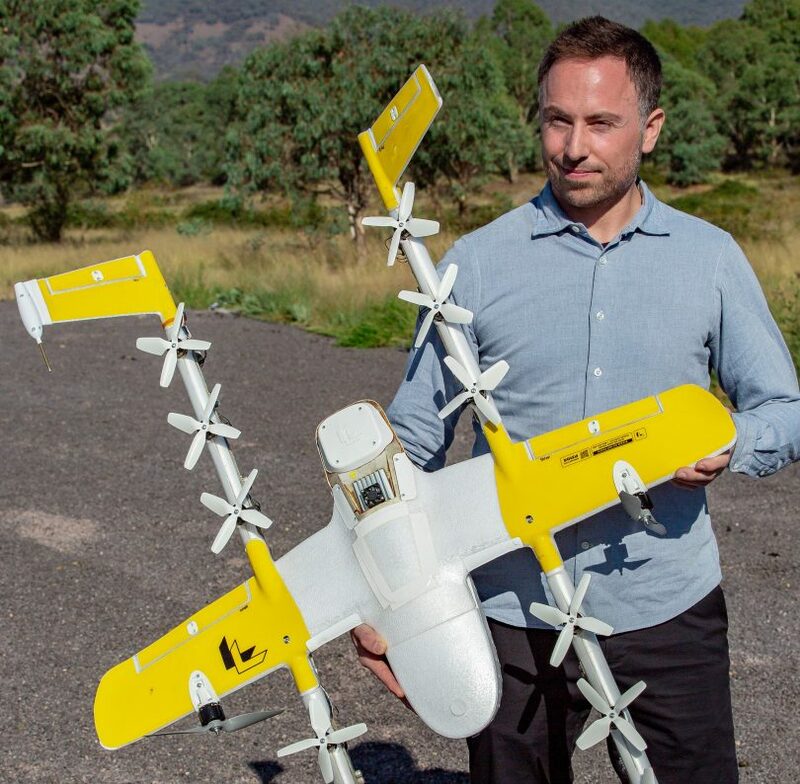 A Wing drone delivery: Soon to be seen and heard over Canberra’s north. Photo: Supplied. 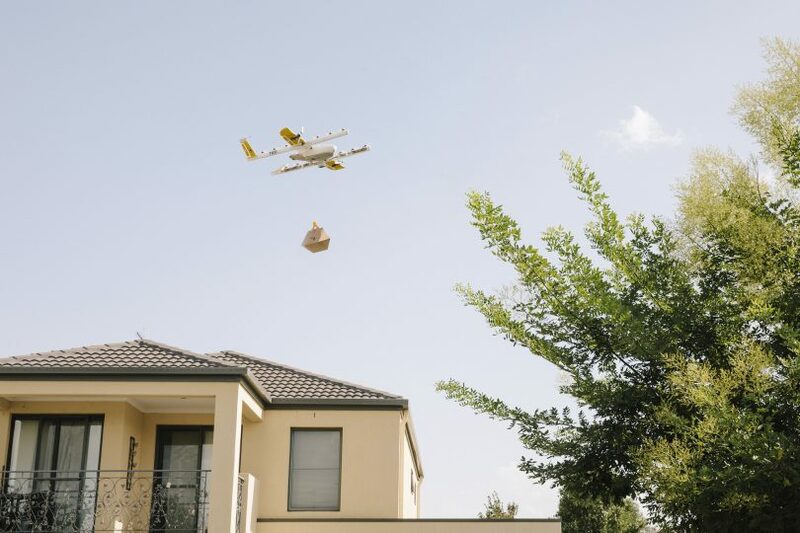 Delivery drones will soon be flying over Gungahlin suburbs after Alphabet subsidiary Wing was granted approval by the Civil Aviation Safety Authority to launch its service in north Canberra. CASA said the approval came with several conditions attached including using the new quieter drone. Drones cannot be flown over crowds or groups of people, and can only be flown after 7 am on weekdays and after 8 am on weekends. Wing can only deliver to people who have chosen to take part in the deliveries and have been informed about safety. A drone must stay five metres away from people during the delivery phase of a flight, as was the case in the south. Wing said in a statement that its delivery service would initially be available to only 100 eligible homes in the suburbs of Crace, Palmerston and Franklin, to be gradually expanded to customers in Harrison and Gungahlin in coming weeks and months. Customers will be able to place orders using Wing’s mobile app. Wing will continue to deliver its staples of coffee, local chocolate, takeaway food and simple medicines, as well as golfing products but is looking to expand its range of products. Its initial launch partners will include Kickstart Expresso, Capital Chemist, Pure Gelato, Jasper + Myrtle, Bakers Delight, Guzman Y Gomez, and Drummond Golf. Wing has been testing drone delivery in Australia since 2014 and over the past 18 months, it has delivered food, small household items and over-the-counter chemist products more than 3000 times to Australian homes in Fernleigh Park, Royalla and Bonython communities. Wing CEO James Burgess with a drone and its quieter propeller system. Photo: George Tsotsos. But it has also experienced a strong community backlash, particularly in the Bonython trial, over noise and privacy issues, with complaints landing in the Federal Parliament and a Legislative Assembly inquiry being launched. Wing has since adjusted the propeller systems on its drones to tone down the high-pitched scream that so antagonised residents in the south ahead of the launch of operations in the north. It also committed to greater engagement and outreach to explain its operations and reassure the community. “The feedback we have received during the trials has been valuable, helping us to refine our operations to better meet the needs and expectations of the communities in which we operate,” Wing said. “We will continue to engage with the local community and stakeholders as we expand our service and are hosting community information stalls and delivery demonstrations in the serviceable areas over the next few weeks. But it will face continued opposition with a new anti-drones group called Nodronezone launched to take over from the Bonython group. It has already said it is sceptical about the quieter drones and still has privacy and safety concerns. “Wing strongly believes that by working together with local policymakers, regulators, and communities, we can improve access to services, open up new economic opportunities, and better connect our cities. We look forward to continuing this dialogue with the Canberra community as we expand Wing’s service,” the company said. We are told the food deliveries will be made in a “heat insulated bag” which will be a single use item and probably banned nationally soon. I hope all you drone-hipsters like salads. If some local crackpot was trying to develop a drone service like this he/she would face more administrative hurdles than one would in trying establish a toxic chemical recycling plant. But because Google is involved what Wings is doing is “cool”, like pop-up, light rail, world-first, rainbows etc. so, lets do it! Why doesn’t the ACT Government plan (well ahead) for “drone” and “no drone” suburbs? Then people can choose whether they want to live with the noise. "Kickstart Expresso, Capital Chemist, Pure Gelato, Jasper + Myrtle, Bakers Delight, Guzman Y Gomez, and Drummond Golf." I don't particularly shop at Drummond Golf but I do use the others on occassion. Well I did...not anymore. I'll be boycotting any business that signs up to this, and will email them to let them know why. Now the coffee and the fish ‘n chips this can deliver, where does it get them from ? Are the products delivered to the drone site, or do they land at the café sites to pick up the product. And how much can they lift. Life sustaining goods like a carton of beer ? And I wonder how long it may last if a drone mis-judges dropping it's payload and it hits someone in a neighbouring yard that then goes on to sue the drone service provider, the fast-food/online fullfilment company and Local Government that led to the short & long-term trauma that the unexpected recipient is now going through & may go through in future?? Seems that Gungahlin is Canberra's guinea pig with light rail now this LOL. And are the drone operators going to be police checked - seeing as they'll have full access to seeing in people's houses, windows, people next door getting dressed, backyards etc on route to their delivery?!!! Fock that.....Gungahlin can have it. Invasion of privacy!! As if there's not enough of that with social media etc stupid idea. Uber eats at least get the food their hot, and feel no invasion whatsoever. Is It only me thinking how cold the food will be? Why tho? In a heat insulated bag - the food is going a more direct route and doesn’t encounter road traffic. Kym-Maree - science has already solved that problem! And if you don’t think ordering something in will keep hot - don’t order something hot. But others do and will. As it becomes easier and more efficient I'd guess more people will order delivery rather than going to pick up. Shirley Hadfield They're only big enough to deliver coffee and tacos. People will go nuts if they use a drone large/noisy enough to carry pizzas. I’m sure they will work out quieter and quieter drones over time. Just like cars and bikes all used to be loud till the rules changed. I do wonder how quiet the new drones actually are at the traversing the suburb height. The Uber rich Alphabet subsidiary is gonna be shakin in der booties with threats of, what now, throwing stones? Great news! I am so sicke of the naysayers. No doubt once everyone adjusts, we'll all be enjoying the convenience of drone deliveries. Target sighted, will become target destroyed..
Dear RIOACT, tks for publishing the names of the firms using the Wing nuisancemenace, I know now who to stop patronising, none of those businesses are monopoly operators. Shall bone up on my 12 gauge skills, can’t use AIM 9 etc in built-up areas. Disgusting performance from local politicians will not be forgotten next ACT gummint elections, especially the poor show of MLA Fitzsimmons. Not surprised that an international monolith won against a local community action group. Democracy you say? Coal Seam Gas anyone? Oh well, there goes the neighbourhood. Bye bye birds. Bye bye peace. Bye bye housing prices.